Five months after principal photography reportedly ended on Star Trek Beyond, the Justin Lin-directed third installment in the rebooted space-faring franchise, Deadline is reporting that the film is going back for reshoots—which is reasonably normal for a focus-tested, big-budget movie like this—and a new cast member—which is not. 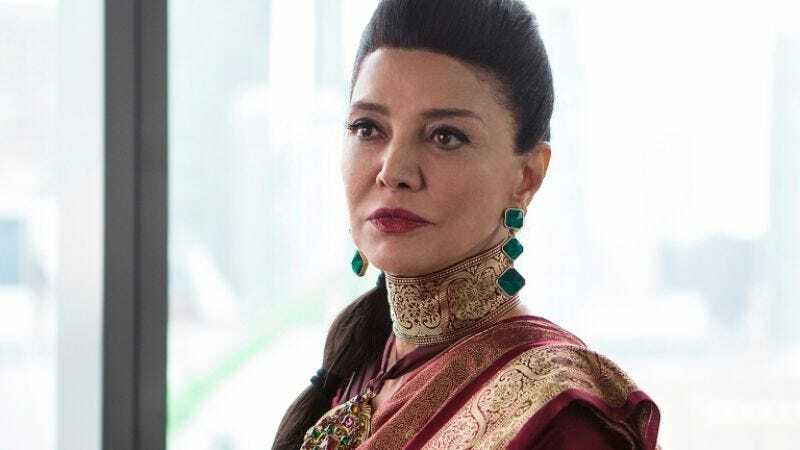 Iranian-American actress Shohreh Aghdashloo—probably best known for her work on Grimm or 24, and currently appearing on Syfy’s The Expanse—has joined the film at the eleventh hour, for a role as a major political figure in the Federation government. Specifically, she’ll be playing the “High Command of the Federation,” a role that will presumably have her rubbing shoulders with past Trek-reboot bigwigs like Space Tyler Perry. It’s not clear whether Aghdashloo is replacing another performer, or whether the role has just been added to the film—possibly because Lin recently rewatched George Lucas’ Star Wars prequels, and realized his new movie didn’t have nearly enough thrilling legislative debates. Changes like this usually happen when a film tests poorly, so it’ll be interesting to watch the finished product—still due out July 22—and try to reverse engineer what gaps Aghdashloo was tapped to fill.